Is it consistent across the organization? Is it appropriate for your business and current economic environment? Organizational strategy and objectives need to be well defined and communicated throughout the organization. In defining strategy and objectives, they need to address customer needs and acknowledge the constraints that the organization operates within. Effective communication of the business strategy and objectives is a minimum requirement to ensuring consistency in understanding across the organization. The business strategy should be cascaded down though the organization, to have the strategy at the lower levels support the overall organizational strategy. Even with the common understanding of the organizational objectives, “operational silos” may still exist, as the different parts of the organization optimize the performance of their individual groups, resulting in sub-optimal performance of the overall organization. Output for capital-intensive business can be internally constrained, or externally constrained. Some businesses can change between internally and externally constrained depending upon the industry response to economic situations. Strategy needs to address the issues imposed by the constraint. A business where the output is internally constrained can sell all the output that can be produced, but is limited in the amount it can produce. Typical businesses are commodities that sell at a market-set price. Externally constrained output is imposed by factors not controlled by the organization, such as market demand for the output, derived demand (demand driven by other product, e.g. 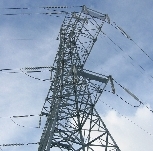 electrical transmission, pipelines, transport), scarce inputs, or logistics required by a complex process (e.g. JIT used in automotive assembly). The strategy in the internally constrained situation is to focus effort on asset management to increase output, thereby increasing revenue. In the externally constrained situation, the focus on asset management is upon producing to the level of the constraint in the most economical manner. For an organization that changes between internally and externally constrained, it must understand its response to the economic environment, and adjust its strategy to match the current situation. Do you understand your own business output constraints? Do you manage the business strategy to match your constraints?